The Honorary Consulate of Iceland in Croatia was officially inaugurated on 18 November 2013 with its location at Gajeva 46/1 in Zagreb. The Honorary Consul is Marin Filipović. Iceland’s supportive and respectful relationship with Croatia goes back to 1991 at the peak of Croatia’s struggle for independence. In the Fall of 1991, having heard of the agression on Croatia, a journalist and poet from Iceland named Hrafn Jokkulson travelled to Slavonia. He travelled to Osijek to report to Iceland the consequences of war and its atrocities. Icelandic people shocked of the news, within days, demanded support for Croatia. At the time, Foreign Minister Jon Baldvin Hanibalson immediately pushed forward for recognition of Croatia. On 19 December 1991, Iceland became the 1st internationally recognized country to recognize the sovereignity of the Republic of Croatia. Our goal is dedicated to promote the Office of the Honorary Consul of Iceland in Croatia and to strengthen relationships between Iceland and Croatia. Our presence is also to provide assistance to Icelandic citizens in Croatia. The Consulate has a goal to encourage the growth of commercial and cultural relations between Iceland and Croatia. 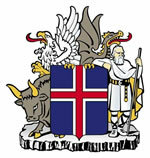 Iceland industries include renewable energy, aquaculture, fishing, tourism and technology. The Honorary Consulate in cooperation with the Embassy of Iceland in Berlin and the Nordic Chamber of Commerce in Zagreb serves as a link for Icelandic business interests and business co-operation in Croatia and Croatian interests in trade and tourism in Iceland.